Ali Mokaram, Ali Mokarram, Sophisticated LA Home | Mokaram & Associates, P.C. Ali Mokaram’s sophisticated LA residence combines modern luxury with rustic accents, evoking a feeling of simultaneous comfort and elegance. The space utilizes soft natural light to bring warmth to a vast room. A low-hanging crystal chandelier shaped like a diamond overlooks a minimalistic dining room that could double as a meeting area, allowing the opportunity for function and style to coalesce. Mokaram’s living area features a large, silver-plated mirror that expands the room without compromising its contemporary, sleek aesthetic. The room emphasizes neutral black and white tones with eye-catching pops of red found throughout the space to make it feel uniform and integrated. The bathroom area provides ample space to move around, and the window invites natural light that casts blue-green tones reminiscent of a spa. The space also features two overhead panel windows, providing a glimpse of outside trees and ensuring the area doesn’t feel dark or closed in. A free-standing tub and marble shower are focal points of the space, its natural hues giving relief to the uniquely patterned wall. Ali Mokaram knows that focusing on people is what matters most, and there is no better way to do so than supporting the community at large. Ali Mokaram’s bedroom area utilizes darker tones to create a cozy space that does not sacrifice luxury. Ceiling-length windows open up the room so it does not feel cavernous, while a padded wall-length headboard and noteworthy light fixtures on each side of the bed give the space dimension. Additional features such as a silver bedspread, cowhide rug, and contemporary chairs accented with pops of red make the lofty bedroom one of a kind. Mokaram’s bedroom is dominated by a snug king-size bed and lavish padded wall that acts as a sleek headboard. A footer bench plated in silver maintains the room’s polished aesthetic, using fluffy throw pillows and comforters to ensure the luxurious room remains homey. The main area in Ali Mokaram’s home provides a vast space that is broken up into smaller, more functional spaces. Attention is immediately drawn to the eye-catching feature of the living area—a beautiful grand piano, bordered by a refined golden telescope that overlooks Los Angeles. Plants accent the corners of the room, ensuring the space does not feel drab or empty, with Oriental rugs and wall art keeping the area from seeming overly contemporary. 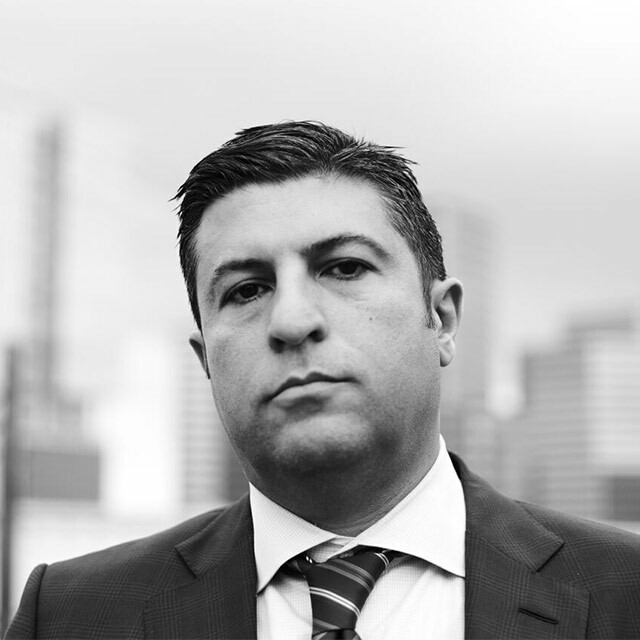 Over the course of his 21-year career, Ali Mokaram has tirelessly fought on behalf of his clients. Ali Mokaram’s rooftop patio is ideal for entertaining, boasting a large L-shaped fire pit that matches the house’s sleek exterior. The length of the pit is surrounded by a comfy seating area. Here, you can overlook the entirety of Los Angeles in style, the unique horizontal fire pit capable of warming the entire space on chilly California nights. Mokaram’s home features a two-level rooftop patio, the lower level housing a lengthy fire pit and wet bar, complete with a sizable grill overlooking the LA cityscape. The bar’s striped minimalistic silver and black exterior is continuant of the home’s sleek aesthetic. From the upper level of Mokaram’s rooftop patio, you can clearly see his contemporary fire pit lounging area juxtaposed against the natural Los Angeles landscape. The dark glass panels running above the length of the seating area provide a peek into the outdoor environment, seamlessly tying together the expanse of the residence with the lush LA landscape.